The parish office will be closed on Tuesday, December 24 and Wednesday, December 25th. The office will be open Thursday and Friday. We would like to congratulate Msgr. Roy Literski on the 60th anniversary of his Ordination to the Priesthood. A Winona native, Monsignor grew up in St. Casimir Parish and served at several of our Winona parishes before becoming the Rector at Cathedral. We are blessed to have benefited from his 60 years of ministry! Two of our old FOCUS missionaries, Aaron and Emily Lofy, were part of a Papal Audience with Pope Francis on Wednesday. The couple, who were married this year, traveled to Rome to receive a blessing on their marriage from the Pope and took lists of prayer intentions from friends and family to give to His Holiness. Good Morning America was also there for what was the last Audience of the calendar year and did a short interview with the Lofy's about their Papal experience. Please click on Read More to see the short interview. If you plan to make an end of the year gift to Cathedral or St. Casimir, this is a reminder that the check will have to be to the parish office by the end of day on December 31st. On the 31st, the office will only be open until Noon due to the holiday. Due to IRS rules, checks that are not to the office by the end of the business day on the 31st (Noon) cannot be counted as 2013 giving activity regardless of the date on the check. If you have any questions about year-end giving please contact the parish office. Have you looked for a new Christmas Tradition to start in your family? The White Envelope Project is a Christmas tradition started by a family in 1982. It is an awesome example of what stewardship can look like in real life! For The Man Who Hated Christmas... from Giving101 on Vimeo. Cathedral will be hosting a Winona Area Red Cross Blood Drive on Thursday, December 19th from 1:00 pm - 7:00 pm. During the holidays there is always a need for extra blood supply. If you are able, please consider making a donation. For appointments please call the Red Cross Chapter at 507.452.4258 or log on to www.redcrossblood.org and enter 55987. Join us for a community Reconciliation service at Cathedral this Sunday, December 15 at 4:00 pm. In addition to the Service, the sacrament of Reconciliation is available at the times listed below and by appointment. If you haven't received Reconciliation recently, a guide can be found HERE. If you took one of the Gifts for Winona tags from our giving tree, the gifts are due back to the parish by Noon on Sunday at the latest. Gifts can be dropped off at the Parish Office or placed by the tree at Cathedral or St. Casimir. There are still tags available on the Cathedral tree, as well as tags for items needed at Birthright here in Winona. Birthright gifts should be left under the tree and are due back by Christmas. Thank you for helping make Christmas a little brighter for members of our Winona Community! Thank you to everyone who helped make Commitment Sunday a success! Our totals for the weekend were as follows: St. Casimir - $11,500.00 and Cathedral - $64,625.00. If you still have a pledge card, or would still like to make a pledge to Rooted in Faith, Rejoice in Hope, there is still time to mail your pledge cards in. If you have questions, would like another pledge card, or would like help completing your pledge card, please contact the parish office and we will be happy to assist you. Thanks to all who have made a donation to this important campaign! Thank you to everyone who came to our open house last weekend! It was nice to see everyone after the Masses and have a chance to show all the Christmas decorations. You can click HERE to see photos from the Open House. This Christmas video was made by Hope Feller. A freshman in high school from Cathedral; Hope made the stop action video on an iPhone in only 20 minutes! It is one of the many Nativity sets on display. Msgr. Colletti, Fr. Frerichs, and Fr. McMillan invite you to an open house after the Masses this weekend (5:15 pm, 7 am, 9 am, and 10:30 am) in the rectory. Come have your coffee and donuts in the rectory and see the Christmas decorations on display! St. Mary's will be hosting their annual Cookie Extravaganza this weekend after their weekend Masses this weekend. The sale benefits the Tri-Parish Youth working the event for upcoming Youth Group trips and retreats. Anyone interested in donating cookies, bars, fudge or other baked goods can drop the off in the Commons at St. Mary's Parish. We still have a large amount of tags available on our Gifts for Winona trees. If you'd like to pick out a tag, you can stop by the Gathering Space at Cathedral. Toys should be labeled, put in bags and brought to the Masses this weekend or the parish office by Tuesday, December 10th. Thank you to everyone who picked up a tag last weekend to help our neighbors in the Winona community! This Wednesday, December 5th will be our Phone Night for the Rooted In Faith, Rejoice In Hope campaign. Volunteers will be calling many of those in the parish cluster to remind everyone of Commitment Sunday on December 7th/8th. Cathedral has raised a current total of $293,486 (37% of goal) and St. Casimir has raised $74,636 (34% of goal), with the current total for the Diocese being just over $21.5 Million! We would like to thank everyone who has given to the campaign so far. It is because of your sacrificial giving that we will be able to adequately fund the priest pension account and the badly needed updates to IHM Seminary. As always, if you have questions about the campaign or on making a donation, please call the parish office and Sandy or Kristin will be happy to answer your questions! For more information on the campaign, please visit the campaign website HERE. Pope Francis released his new Apostolic Exhortation last week. You can read it here. We will be starting a study group tonight, Monday, December 2nd. We will meet 5 times, each of the Mondays of December. We will meet in the St. Thomas room at the Cathedral from 6:30-8:30. It is not necessary to read ahead of time. For weeks the secular world has been advising us that we should "get ready for Christmas." We have caught the spirit of anticipation and anxiety about whether or not we will be prepared. Today the Church joins in but the message is not the same. We might easily wonder why, when we are preparing for the birth of the Baby, we are directed toward Christ's final coming. The truth is that many of us have been distracted by a secular view of Christmas.Advent is a setting for the proclamation of Christ's coming in history, mystery, and majesty. We have forgotten that we are to prepare for Christ's coming in majesty. We can become so occupied with shopping, Christmas trees, and presents that we will be unprepared for the Lord's coming. "…at an hour you do not expect, the Son of Man will come." We will be posting pictures from the NCYC group and following them on their trip. If you would like to see the updates please follow along at our facebook page. The Winona group is ready for their NCYC Trip. Please pray for their safe journey to and from! The Knights of Columbus Council 639 is a Catholic Fraternal Organization promoting Charity, Unity, Fraternity and Patriotism for the Winona Area. Council 639 is 111 years old and one of the oldest Councils in the nation and state. The Knights of Columbus were founded by Venerable Father Michael J. McGivney in 1882 in New Haven, Connecticut. The 1st, 2nd and 3rd Degree Meetings are held on 2nd Tuesday of the month in the basement at St. Casimir’s Church at 7pm. The 4th Degree Meetings on the 3rd Tuesday of the month at 7:30pm in the basement of St. Casimir’s Church. . If you are a Catholic layman and have reached your 18th birthday and are interested in being initiated in the Knights of Columbus, please contact John Wagenaar, Grand Knight at 507-450-8458. Fall Festival: All Aboard the "S.S. Basilica"
The Basilica of St. Stanislaus Kostka, is having their Fall Festival November 23rd-24th! Come join us for a fun-filled time! On Sunday December 8th, The Winona Hims will be performing a Christmas Concert at Wesley United Methodist Church. There will be two different performances taking place at 1:00pm and 3:30pm. All are welcome, and they are asking for a free will offering which will benefit Grace Place in Winona. We would like to thank everyone who volunteered, donated, or came to the Fall Festival at St. Casimir last weekend! We had a wonderful festival and greatly appreciated everyone who came together to help make it possible. ordained to the ministerial priesthood on October 18, 2013. Today we celebrate that the Lord has been at work in your life. Luke 19: 1-10 He entered Jericho and was passing through it. A man was there named Zacchaeus; he was a chief tax collector and was rich. He was trying to see who Jesus was, but on account of the crowd he could not, because he was short in stature. So he ran ahead and climbed a sycamore tree to see him, because he was going to pass that way. When Jesus came to the place, he looked up and said to him, "Zacchaeus, hurry and come down; for I must stay at your house today." So he hurried down and was happy to welcome him. All who saw it began to grumble and said, "He has gone to be the guest of one who is a sinner." Zacchaeus stood there and said to the Lord, "Look, half of my possessions, Lord, I will give to the poor; and if I have defrauded anyone of anything, I will pay back four times as much." Then Jesus said to him, "Today salvation has come to this house, because he too is a son of Abraham. For the Son of Man came to seek out and to save the lost." What a sight it must have been — that rotund, little figure scampering up the tree. The astonished onlookers must have guffawed and whistled at the chief tax collector tossing his dignity to the winds as he huffed and puffed getting up that sycamore. Zacchaeus was nothing if not persistent. He was used to overcoming obstacles as he fleeced the tax payers of Jericho. But now his worldly skills were directed in a far different way: He wanted to see Jesus! If only we showed half as much persistence in pursuing our spiritual goals as we do our secular ones. When we really, really want something, we can push, pull and tug to make sure that we get over, around or under the obstacle that impedes our desires. But when it’s a question of our prayer life, something as simple as a change in schedule can seem insurmountable. Let’s yearn to see Christ! If we truly long for his love, we will even climb trees to get it! We'd like to thank everyone who volunteered and came to last night's Year of Faith Closing Celebration at Cathedral. We had a wonderful turnout from all over our Winona Deanery totaling over 650 people. We were also able to raise almost $500 for Syria! A special thanks to the staff at St. Mary's, St. Stan's, St. Charles, and the Pastoral Center, and IHM Seminary for all of their help with last night's event. Year of Faith Closing Celebration - Tonight! Please join us tonight at Cathedral for the Year of Faith Closing Celebration for the Winona Deanery. Mass starts at 5:00, Family Meal at 6:00, Bishop's Message at 6:30, Faith Activities at 7:00 for every age, and Closing Benediction at 8:00. Please click More for the full schedule for this evening. Cathedral and St. Casimir's would especially like to thank the parish staff and parishioners at St. Mary's (Winona), St. Stan's / St. John's (Winona), and St. Charles Borromeo (St. Charles) for their help in planning and helping with this event. The realities of economics find its way everywhere. So is the case of the WSHS Student Council Thanksgiving Dinner that has been offered to retired residents of the Winona school district for decades. Available funds do not allow for the sustainability of the event past this year. The final Thanksgiving Dinner event will be held on Wednesday, November 13, 2013 at Winona Senior High School. Dinner will be served from 4:30-6:30 pm The maximum number of guests is 350 and reservations are a must. There is a charge of the meal of $5 each. There will be no take out dinners as the intent is for the high school students to be able to interact with guests. Year of Faith Closing Ceremony Wednesday! On Wednesday October 30th, the celebration of the closing of the Year of Faith is taking place! There will be five different events taking place in the evening to celebrate! 1. Vatican II, A Compass for Our Time. Jr./Sr. High Track: “This is my Body, which is given for you.” Come and See God’s Plan for you! You are welcome to attend all or part of the event. Free-will offerings will be accepted at the event. If you plan to be there for the meal, please contact Cathedral at (507) 452-4770. A second collection after Communion will be taken up this weekend for our annual World Mission Sunday. This celebration affords our parish family the opportunity to “do good on earth,” to use the pledge of St. Thérèse of Lisieux, the young Carmelite Sister who is the Patroness of the Missions – the blessing of putting their faith into action! Great work is being done in the Missions to make Jesus known and loved, and you can and will make a difference with a gift to the poor of the world who long to come to know the hope and the love that only Jesus Christ can give. In honor of Father Adam McMillan, ordained today at Cathedral, we are sharing a prayer for priests. We thank you, God our Father, for those who have responded to your call to priestly ministry. Accept this prayer we offer on their behalf: Fill your priests with the sure knowledge of your love. Open their hearts to the power and consolation of the Holy Spirit. Lead them to new depths of union with your Son. Increase in them profound faith in the Sacraments they celebrate as they nourish, strengthen and heal us. Lord Jesus Christ, grant that those, your priests, may inspire us to strive for holiness by the power of their example, as men of prayer who ponder your word and follow your will. O Mary, Mother of Christ and our mother, guard with your maternal care these chosen ones, so dear to the Heart of your Son. Intercede for our priests that, offering the Sacrifice of your Son, they may be conformed more each day to the image of your Son, our Lord and Savior, Jesus Christ. Amen. All 7th & 8th grade students in Winona are invited to a Halloween party at Cotter High School on Friday, October 25th from 6:30-8:30 pm. The event is being sponsored by Cotter's Student Council, and will be held in the Target Center, located on the Cotter Campus. Please enter using the Target Center door on 7th (Wabasha) Street by the St. Cecilia Theater steps. A minimal entrance fee will be charged. Students are encouraged to wear to wear their favorite Halloween costumes! You are invited to the monthly Holy Hour for Life, Marriage, and Religious Liberty on Saturday, October 19th from 8:30 am to 9:30 am (after the 8:00 am Mass) at the Cathedral of the Sacred Heart, 360 Main Street, Winona. The Blessed Sacrament will be exposed and a beautiful rosary will be offered, along with prayer and reflection. Everyone is welcome. The Capital Campaign for the Diocese of Winona is now starting in the Winona Deanery. Two two focuses of the campaign are building up of the endowment for Priest Pensions and updates to IHM Seminary. Please take some time to prayerfully consider making a donation to one or more of these important causes. Additionally, 25% of every dollar raised will go back to your parish toward your parish's projects. Registered parishioners should have received campaign information materials and a pledge card in the mail this past week. If you did not, please contact the parish office. If you have any questions or would like more information on the campaign, please visit the campaign website. As October goes on, we have entered one of the busiest times of this year. We are in great need of volunteers to help with several events in the next three weeks and we need your help! Please truly consider giving some of your time to help at our upcoming events. Needed: Help with Booths, Children's Games, Bean Bag Tournament, Meal Serving, Selling Raffle Tickets, First Aid, and More. Needed: Help with Booths, Kid's Games, Selling Raffle Tickets, Meals, Clean-Up, and More. Looking for an update on CathedralFest? Click below to view the latest bulletin insert update. We still need prizes for the Big Wheel, Silent Auction, Chocolate Chances, and Kid's Games. Also very needed are baked goods for the bakery booth. We also need VOLUNTEERS. Cathedralfest cannot happen without your help! There is a volunteer role to fit anyone who can help. We will need volunteers both Saturday and Sunday for a variety of roles and time slots. Please consider donating some of your time to help us make this parish event a success. St. Pius V (April 30) established this feast in 1573. The purpose was to thank God for the victory of Christians over the Turks at Lepanto—a victory attributed to the praying of the rosary. Clement XI extended the feast to the universal Church in 1716. The development of the rosary has a long history. First, a practice developed of praying 150 Our Fathers in imitation of the 150 Psalms. Then there was a parallel practice of praying 150 Hail Marys. Soon a mystery of Jesus' life was attached to each Hail Mary. Though Mary's giving the rosary to St. Dominic is recognized as a legend, the development of this prayer form owes much to the followers of St. Dominic. One of them, Alan de la Roche, was known as "the apostle of the rosary." He founded the first Confraternity of the Rosary in the 15th century. In the 16th century the rosary was developed to its present form—with the 15 mysteries (joyful, sorrowful and glorious). In 2002, Pope John Paul II added five Mysteries of Light to this devotion. The purpose of the rosary is to help us meditate on the great mysteries of our salvation. Pius XII called it a compendium of the gospel. Did you sign up for Rediscover on October 15th in St. Paul but can't go? We have parishioners in our cluster who are interested in purchasing your tickets! Please contact the parish office at info@cathedralwinona.org or 507-452-4770 and let us know if you would like to sell your tickets. Benefit Bake Sale and New and Almost New items Sale. Friday, September 20 from 12:00 noon until 6:00 pm and Saturday September 21st, from 8:00am until 12:00 noon, there will be a Baked Good and New & Almost-New Items Sale. All proceeds of the items and baked goods will go to benefit Orphanages in India where Fr. Swamy is from. It will take place at the Cathedral of the Sacred Heart Holy Family Hall on both days. 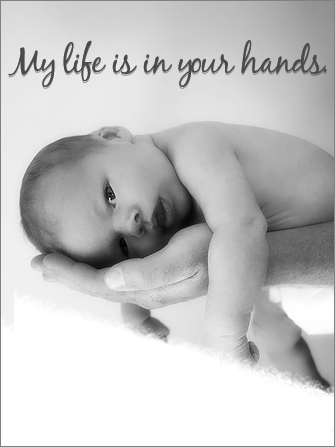 Presented by MCCL, Minnesota's oldest and largest pro-life group since 1968! You are welcome to attend all or part of the event. Free-will offerings will be accepted at the event. If you plan to be there for the meal, please contact your parish office by October 14; if after October 14, please contact Cathedral at (507) 452-4770.